A new version of Stephen King's classic "Pet Sematary" has been unleashed onto audiences. HOLLYWOOD—I am not sure why this is such a trend in Hollywood, but it is driving me crazy. If you’re going to make a remake to a classic, the movie does not have to pay tribute to the original. If you’re going to remake a movie, the goal is to bring something fresh and exciting; not a copy and paste of the original. With that being said another Stephen King classic, “Pet Sematary” has received an update from the 1989 big screen version. I entered the theater having a strong premise of what I could expect from the movie, but I did not expect it to be almost a carbon copy of the original. I mean the names of the kids and the primary characters are the same and because of that the flick loses major points in my opinion for originality. Now that we’ve discussed the bad, we can focus on the good, which includes the acting talent and the dark atmospheric mood. There is a sense of dread, darkness, agony and impending mayhem that this movie has that the original does not. That is a testament to the witty script and the actors delivering solid performances. The movie has notable names including Jason Clarke, Amy Seimetz and John Lithgow. Clarke portrays Louis, the patriarch of the Creed family. He is a bigtime doctor in Massachusetts who moves his wife, Rachel (Seimetz) and their children Ellie (Jete Laurence) and Gage (Hugo and Lucas Lavoie) to the small town of Ludlow, Maine. Lithgow portrays their neighbor Jud Crandall, who warns the new neighbors about a place deep in the woods that should not be explored. Of course the worst thing you can tell someone is to NOT explore a particular place; it only fuels their interest to want to dig more. That infamous cat makes his sinister presence known, which clues Louis on the fact that just because something dies doesn’t truly mean it is dead. In a clever twist (this is no spoiler because if you’ve seen the original, a TV spot or trailer for the film) you know what happens. One of the kids dies in a tragic accident and dear ole dad decides to bring them back to life with a few surprises along the way. I will argue adamantly major points go to Laurence who delivers a spine-chilling performance that provides that sense of dread one comes to expect in the horror genre. This modernized version of “Pet Sematary” amplifies the scares in a big way and that works on a grand scale. I cannot recall having so much uncertainty on what was going to happen, when I’ve seen the original and I kind of have an idea how things will play out. The movie heightens the violence, the blood and the chaos with an interesting twist at the end that could lead to a sequel in the near future. 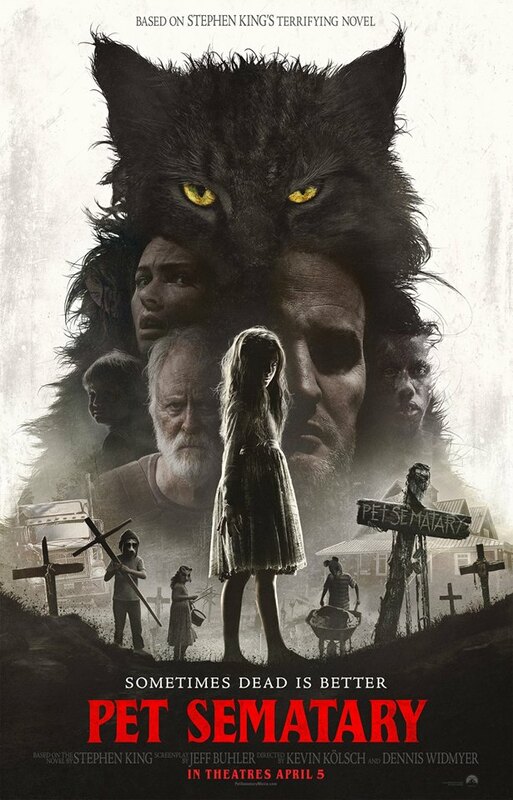 I was not blown away by “Pet Sematary,” but I was absolutely entertained and because of that, fans of the original or those looking for a fun scare will enjoy this reinterpretation of Stephen’s Kings classic novel.